We assume you are relatively new to FOREX or even new to trading. Perhaps you have dabbled with a demo account or you have some experience in other markets—stocks, futures, or options. This chapter offers a brief overview of FOREX. Our goal is not to give you an extensive primer on FOREX. Several books currently offer that information, such as Getting Started in Currency Trading, by Michael Duane Archer (John Wiley & Sons, 2008). 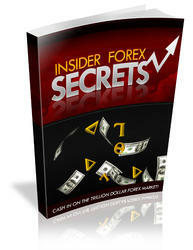 The information in this chapter is intended as a brief primer of FOREX trading essentials and mechanics. Supplementing study with actual practice is the best and fastest way to learn your way around FOREX. If you haven't done so already, we recommend opening a demo account. Consult Chapter 7 for information on brokers with robust demo platforms. How many traders these days take the time to print a chart and annotate a trading plan? Probably the only ones are guys who are held accountable to themselves, their boards, or managing body. Even if you are a short term trader, keeping a file with charts and annotations of reasons for entry, trade management, and results is a wonderful teaching tool. The mechanics of FOREX are not difficult; serious students can learn what they need to know in a week or two of reading and another week or two working with a demo account. The real task is to get started correctly, with a well-thought-out plan. Forex Essentials in 15 Trades combines the trading and instructional experiences of three professionals who have a combined century of experience in the market. Following our advice might not make you an instant winner, but it is our hope it will keep you from the fate of most new traders—instant losing. Along with the text, diagrams, charts, and tables you will find two learning devices that distill our collective experience: "The Inside Scoop" and GVI Snippets, relevant material taken directly from the Global-View web site forums and Learning Center. As a trader you will spend most of your time in front of a computer monitor, watching and studying charts and indicators. "The Inside Scoop" shows you the life behind that screen: the pulsating and vibrating world of professional FOREX trading. Interspersed throughout the book are GVI Snippets from the Global-View web site, providing an inside look and unique perspective you will not find elsewhere. Taken together, they comprise a compendium of advice and maxims that most new traders learn only over many years—if they last so long. They will give you the perspective of experience even if you haven't yet made a single trade. I first traded commodity futures at the Denver office of Peavey & Company in 1 973. It was a modern office then but would be a dinosaur now. There were a dozen or so chairs for traders, a small open room for high rollers, and a private office in the back for the charmed few. The entire front wall of the office was a large mechanical "clacker board" displaying the open, high, low, and close for 20 different commodities and delivery months. It was called a clacker board because of the sound it made when prices changed. New high prices elicited a green light; new lows, a red light. In the high rollers' area sat a grain trader from Eads, Colorado: Charles B. (Charlie) Goodman. For a reason I never knew, Charlie took a liking to me and offered his informal services as a mentor. The techniques I learned—the Goodman Swing Count System and Market Environment (ME) charting—I still use today, although I have developed them much more deeply on my own. His money management style of "the Belgian dentist"—a very conservative approach to trading—has stood the test of time. What works for one person might be poison to another—but it is useful to study others' attitudes and approaches to trading, their money management techniques, and their trading heuristics. If you can find an experienced and successful trader to assist you for the first year of your trading career, you will benefit greatly. A mentor can at the very least keep you from making the many common mistakes of the beginning trader. Most new traders are shown the door quickly because of the mistakes they make. By avoiding them, you greatly enhance your chances of at least staying in the game long enough to learn the game—and eventually succeed. Much of winning in FOREX, as in any business venture, is about staying power. This [FOREX] forum and better yet, the GVI pro forum are great places to learn different techniques and styles, and learn much of the basics if you pay attention and study. Most new traders spend too much time and effort on devising a trading method. The hundreds of books on such methods, systems, and technical analysis attest to this misplaced interest. Keep your initial trading method a simple trend-following one. The markets can only go up or down—do not make things more complex than they are in reality. Devote most of your time to managing your money, improving your trading attitude, and getting a true feel for how the markets move and operate: their pace, characteristics, and rhythm. Before trading... spend time and money on your FX education—it boggles my mind that so many "traders" have never pursued a mentor, developed a method, kept a journal of results, etc. So many beginning traders think for some reason that they can come into a very sophisticated and massively well funded market and compete "off the hip." They've learned to read a few charts, read a book or two, and it's off to the races. This is a professional career choice... much like securities analysts/brokers, doctors, lawyers, and so on. Does anyone think for a second that these career choices get handed to them?.. .Not in your life! It takes years of study, cost of tuition, and in the case of FX, should come with a mentor or a few mentors of choice, to shortcut the learning curve. To learn any profession, one has to go through a period of learning. This is through various stages, which can be defined as: certificate, diploma, degree, masters,... etc. An example—Medical doctors in their training don't get to see anyone before they have their degree—after "x" years of training. Then they have to learn more by practical experience, based on previous knowledge. That is just the basics. Then how long does it take to become a specialist? Just an analogy, as trading is not as simple as many would like to portray it. FOREX FIRST STEPS: WHAT IS IT? FOREX, which stands for FOReign EXchange, is the global trading of currencies. More than $3.0 trillion in foreign exchange transactions take place each business day, and the volume is increasing steadily. Until the mid-1990s the arena was the domain of large banks (the interbank market), governments, and corporations. 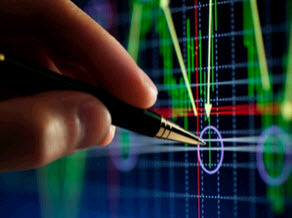 Now it is possible for small speculators to trade online with any of a large number of retail FOREX broker-dealers using an online trading platform. It is important to remember that a currency trade is between two currencies—a pair if one of them is the U.S. dollar (USD) and a cross otherwise—and not a buy or sell of something such as a security (e.g., General Motors) or a commodity (e.g., gold) against the dollar. The most popular currency pair is the EUR/USD—the Eurozone euro against the U.S. dollar. To be long this pair is to want the EUR to go up and the USD to go down. To be short this pair is to want the USD to go up and the EUR to go down. There is no central clearinghouse for currency trading as there is for stocks or commodity futures. It is the closest thing there is to a pure laissez-faire market. That cuts both ways: The opportunities are enormous but it is a largely unregulated and often cutthroat enterprise. In the United States, retail FOREX is partially regulated by the Commodity Futures Trading Commission (CFTC) and the National Futures Association (NFA). But, with no central clearinghouse, regulation is by definition less robust and effective than in stocks or commodity futures. Regulation is largely limited to seeing that retail brokers meet certain capital requirements and follow good-practice guidelines. Caveat emptor is the watchword in FOREX. Despite the risks, the retail market is growing by leaps and bounds. Obviously, many traders have concluded that the opportunities outweigh those risks. Here is a short list of why people are attracted to currency trading. No commissions. There are typically no clearing fees, no exchange fees, no government fees, and no commissions. FOREX works off a bid/ask spread and the costs are contained therein. Some brokers who use the electronic communications network (ECN) transaction model, however, also may charge a small lot fee. High liquidity. With an average of over $3 trillion in transactions daily, it is easy to execute even very large orders in foreign exchange. Online brokers most often offer instantaneous fills on retail orders. No fixed lot size. The standard lot size in retail FOREX is 100,000 units. Most brokers offer mini-lots of 10,000, and some let you trade as few as 100 units! The variable lot size can be an excellent money management tool for the trader. It also allows the new trader to gradually increase trade size as his or her knowledge and profits rise. A 24-hour market. There is no opening bell in FOREX! You may trade from late Sunday afternoon (U.S. time) to late Friday evening. You may come and go as you like, and trade for as long a time or as short a time as you wish. Online access. All retail FOREX is conducted online, via the Internet. You will trade from a broker's trading platform, which typically includes not only real-time prices and the ability to place buy and sell orders but also a variety of trading tools such as charts and indicators. Most brokers allow clients to call in orders by phone if the need arises. Low margin, high leverage. Perhaps the most attractive element to FOREX trading is the ability to trade leverage ratios of from 10:1 up to 400:1! This means that you may control 100,000 USD with from $10,000 to as little as $250. With high leverage, a very small move may result in a 100 percent profit—or loss. Gradually increasing leverage can also be an effective money management tool. Volatility. The FOREX markets can move quickly and sharply; profits can be large if you are correct in your price forecast. Variety. There are more than 30 currency pairs and crosses traded, although most of the volume is concentrated in about half of those. Many traders claim individual pairs and crosses have personalities that help them make forecasts. There is enough variety to keep opportunities plentiful, but not so much as to be bewildering and confusing. Not related to the stock market. Currencies most often move independently of the stock market, although there has been a close correlation during the 2008 financial crisis as equities are used as a measure of risk aversion. From an investment perspective it is said that currency prices are noncorrelated with stock prices. For this reason FOREX may be an attractive hedge to a larger stock market account. Limited regulation. Because FOREX is a global interbank enterprise, regulation is necessarily limited. This, of course, can cut both ways, as mentioned earlier. No insider trading. It is difficult to get useful inside information on currencies. Even if you did know in advance a key government statistic, the markets are so unpredictable that it is not often easy to foretell which way the market will go after a news release. Here are the most important FOREX terms. To a large extent, learning the syntax or lingo of FOREX is learning FOREX itself. Ask price. The price at which the market is prepared to sell a specific currency in a foreign exchange contract or cross currency contract. At this price, the trader can buy the base currency. In the quotation, the ask price is shown on the right-hand side. For example, in the quote USD/CHF 1.4527/32, the ask price is 1.4532, meaning you can buy one U.S. dollar for 1.4532 Swiss francs. Base currency. The first currency in a currency pair (for example, USD is the base currency in the currency pair USD/CHF). The rate shows how much one unit of the base currency is worth as measured against the second currency. For example, if the USD/CHF rate equals 1.6215, then one USD is worth CHF 1.6215. In the foreign exchange markets, the U.S. dollar is normally considered the base currency for quotes, meaning that quotes are expressed as a unit of $1 U.S. per the other currency quoted in the pair. The primary exceptions to this rule are the British pound, the Eurozone euro, and the Australian and New Zealand dollars. Bid price. The price at which the market is prepared to buy a specific currency in a foreign exchange contract or cross currency contract. At this price, the trader can sell the base currency. It is shown on the left-hand side of the quotation. For example, in the quote USD/CHF 1.4527/32, the bid price is 1.4527, meaning you can sell one U.S. dollar for 1.4527 Swiss francs. Bid/ask spread. The difference between the bid and ask (offer) price. Big figure quote. Dealer expression referring to the first few digits of an exchange rate. These digits are often omitted in dealer quotes. For example, a USD/JPY rate might be 117.30/117.35, but would be quoted verbally without the first three digits, that is, as "30/35." Closed position. A foreign currency position that no longer exists. The process to close a position is to sell or buy a certain amount of currency to offset an equal amount of the open position. This will square the position. Correlation to the stock market. At the time of this writing currencies are moving in close correlation with the stock market. This is not always the case, however. Professional traders do watch for changes in correlation as an aid to decision making in placing FX orders. The switch between being correlated and non-correlated happens slowly over longer periods of time. Counter currency. The second listed currency in a currency pair. Cross currency pair. A foreign exchange transaction in which one foreign currency is traded against a second foreign currency. For example, EUR/GBP is the euro versus the British pound. Currency pair. The two currencies that make up a foreign exchange rate, for example, EUR/USD. Electronic communications network (ECN). A system wherein orders to buy and sell are matched through a network of banks and/or dealers. See also market maker; no dealing desk (NDD) broker. Flat/square. Refers to a trader on the sidelines with no position. Foreign exchange (FOREX, FX). The simultaneous buying of one currency and selling of another. Going long. The purchase of a stock, commodity, or currency for investment or speculation. Going short. The selling of a currency or instrument not owned by the seller. Leverage. The ratio of the amount used in a transaction to the required security deposit, otherwise known as margin. Leverage is typically quoted as a ratio. For example, 100:1 means one dollar controls one hundred dollars of a currency. A 1 percent move of the currency is equal to a 100 percent gain or loss of margin. Long position. A position that appreciates in value if market prices increase. When the base currency in the currency pair is bought, the position is said to be long. Lot. A unit used to measure the amount of the deal. The value of the deal always corresponds to an integer number of lots. Major currency. Any of the following: Eurozone euro, British pound sterling, Australian dollar, New Zealand dollar, U.S. dollar, Canadian dollar, Swiss franc, Japanese yen. See also minor currency. Margin. The required equity that an investor must deposit to collater-alize a position. Market maker. A dealer who regularly quotes both bid and ask prices and is ready to make a two-sided market for any financial instrument. Most retail FOREX dealers are market makers. A market maker is said to have a dealing desk and is the effective counterparty to your trade. Minor currency. Any of the currencies between a major currency and an exotic. The South African rand and Swedish krona are minor currencies. Mundo. A synthetic global currency devised by James L. Bickford, calculated as the average of multiple ISO currency pairs. See Michael Archer and James Bickford, Forex Chartist Companion (John Wiley & Sons, 2006). No dealing desk (NDD) broker. Provides a platform to which liquidity providers such as banks can offer prices. Incoming orders are routed to the best available bid or offer. See also market maker; electronic communications network (ECN). Short position. A position that appreciates in value if the market price decreases. When the base currency in the pair is sold, the position is said to be short. Trading platform. 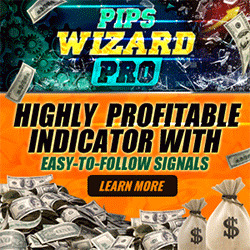 The online set of tools used to trade FOREX. Trading platforms provide real-time prices of currencies, order entry mechanisms, accounting logs, and a variety of trading tools such as calculators, charts, and indicators. The Glossary offers a comprehensive FOREX lexicon. The calculations in FOREX can be confusing, although they are not inherently difficult. Study will get you only so far; practice is the key. Use an online FOREX calculator to see how the various calculations work, then practice with a demo account from one of the brokers we highlight in Chapter 7. More on calculations used in FOREX is provided in Chapter 2 on money management. You'll eventually need to be able to make these calculations instantaneously; the FOREX markets move quickly, real-time, and you'll need to concentrate on trading, not calculations. But don't worry if they don't come to you right away. Most broker trading platforms have FOREX calculators you can use to become familiar with how the various values and units interact. Remember that a currency transaction is between two currencies, not a single currency and a product as is true in stocks and commodity futures. You may either buy or sell a currency, profiting if it goes up or down. If you buy a currency, you are said to be long and an offsetting transaction is to sell. If you sell a currency, you are said to be short and an offsetting transaction is to buy. EUR/USD is the symbol for the euro-to-U.S. dollar currency pair. If you buy, you are going long the front or base currency and effectively short the back or counter currency. If you sell, you are going short the base currency and effectively long the counter currency.